Righettini has written an unforgettable tale of one woman's epic journey of life and love, amidst the perils of the Oregon Trail. Highly recommended to all lovers of good historical fiction. Enter the giveaway for a chance to win your copy! IN THIS EPIC TALE of love, loss, and redemption, the year is 1861, a time when women are expected to be married by a certain age. At 26, spinster Emily Wainwright has no reason to believe her sheltered life will ever change—until the charming Samuel Todd unexpectedly crosses her path. Samuel yearns to homestead and start a family in Oregon, but he first needs to find a wife. Blinded by Samuel’s good looks, and grasping at her final chance to have a husband and children, Emily accepts his marriage proposal. However, Samuel is not the man she thought he was, and her marriage becomes a cold, cruel prison, offering her no solace amidst the hardships of farm life. When Samuel dies and a second chance at love and happiness arrives in the form of farmhand Cole Walker, Emily must overcome her bitter past—or risk losing Cole and the life she has always dreamed of having. In this well-written debut novel, Vicki Righettini succeeds in transporting me fully to a woman's arduous and coming-of-age journey on the Oregon Trail in the 1860s. When well-bred Emily Wainwright is not yet married at 26, she accepts Samuel Todd's proposal of marriage and a new life in Oregon. 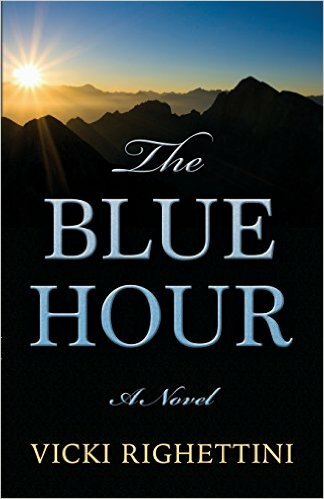 The difficult and dangerous trek (mostly done on foot), along with her married life to a man that becomes bitter and how she survives and comes out triumphant in her new life out on the frontier is what The Blue Hour is all about. I was impressed by the well-researched historical details of the Oregon Trail and how Righettini deftly weaves these into the story. The treacherous beauty of the land is contrasted with the swelling and dipping hope of the emigrants as they forge ahead to make a new life for themselves. This is an immersive story as we follow in Emily's footsteps and witness her transformation from a well-bred lady of society to a pioneer who learns to cook and do laundry on the trail. Although the book's description mentions that Emily is given a second chance at love, this only happens in the last quarter of the book. There is a little romance but the story really is about one woman's strength to overcome and survive adversity. Emily is a woman of her time, yet she is different. She has a quiet strength and a keen intelligence, using her knowledge of plants and herbs for healing and later to make a living. As a woman, I admired Emily and her ability to not give up and to remain positive in her situation. The kindness of neighbors, the value of friendship, redemption, being resourceful and not giving up are strong themes in this book. With memorable characters, vivid scenes and heartwrenching situations, I loved reading this novel that filled me with a myriad of emotions. Righettini has written an unforgettable tale of one woman's epic journey of life and love, amidst the perils of the Oregon Trail. Highly recommended to all lovers of good historical fiction. This title has made it to my list of 2017 Best Reads. 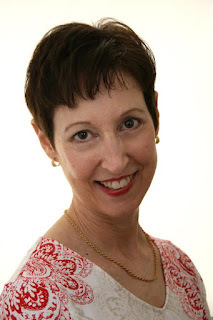 To read more reviews, please visit Vicki Righettini's page on Premier Virtual Author Book Tours. 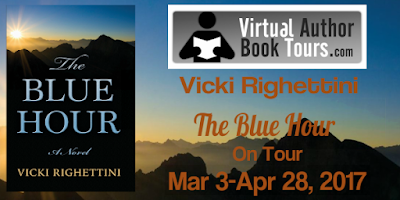 Vicki Righettini is an award-winning, nationally produced playwright, and her recently-published historical novel, The Blue Hour, was a badge winner and Pitch Perfect Pick at Underground Books. Originally from Los Angeles, Vicki lived in Oregon for over twenty years, where she developed an abiding love of the land and the Oregon way of life. Before turning to full-time writing, she worked for forty years as a singer/actress and performing arts instructor. Her blog, Between a Book and a Hard Place, focuses on the ups and downs of the creative process. Vicki lives in San Diego with her software-developer, Jeopardy!-champion husband, and the world’s shyest cat. This historical novel sounds unforgettable, captivating and unique. This talented author has brought alive an era and the brave woman whose life is portrayed beautifully. Reading this novel would be wonderful and a real treasure. Thanks for this great feature and giveaway. Yes, she really did bring alive that time in history when many were trekking to the West. I'm so glad you enjoyed 'The Blue Hour'!